Manchester United defender has signed a two-year deal with the Serie A champions, after nine-season spell at Old Trafford.Serie A champions Juventus have done the signing of 33 years-old defender Patrice Evra from Manchester United in a £1.5 million deal. France international had scored 10 goals in 379 appearances for United. Evra’s move to Juventus leaves England international Luke Shaw as the only specialist left-back in United’s team squad. Luke Shaw has made his move to Old Trafford from Southampton for £30million. 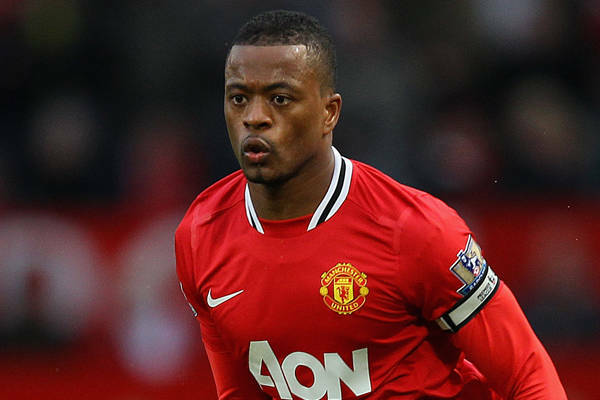 This summer Evra becomes fourth experienced united player to leave United following Nemanja Vidic and Rio Ferdinand who made their move to Inter and QPR respectively and Ryan Giggs declared his retirement from the game. Statement of Patrice Evra on United’s official site, “After a great deal of thought I have decided the time is right for me to leave Manchester United. It is the biggest decision of my career as this club is, and will always remain, in my heart. “Joining and playing for Manchester United has been a privilege, a dream come true and my time here has been so memorable. Through the good times and the bad times we have all stuck together and remained loyal. I have always said you don’t just join Manchester United, you join the family and long may that tradition continue. “This club is steeped in history and I feel privileged to have become a part of that. Over the past nine years I have met and worked with some incredible people, many of whom will remain friends for life. I would like to thank everyone at the club – teammates, coaches and in particular all the staff who made every single day in Carrington or at Old Trafford a special day. “An immense thank you to Sir Alex Ferguson for making it all possible, for giving me the privilege to be a captain, to be inspired by the legend of Manchester United and to understand that nobody is bigger than the club.My biggest thanks go to the fans. We have had some fantastic times together, we lifted all of those trophies together and that night in Moscow will live with us all forever. Every single time I stepped out in that shirt I knew I was playing for the badge and for a very special club” . According to Juventus statement :”Juventus football club can today announce that Patrice Evra has signed a two-year contract with the club after a fee of £1.2million, to be paid in two separate instalments, was agreed with Manchester United.